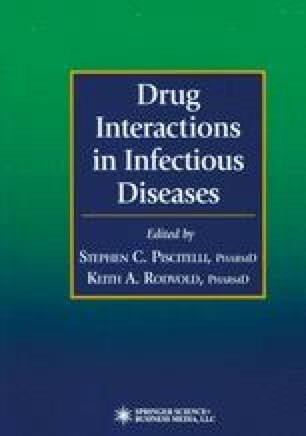 In no other specialty of infectious diseases do drug interactions play such a critical role in patient care as they do for HIV infection. Patients with HIV infection, especially those with late-stage disease, often receive numerous medications and up to 40 pills or more each day. In addition to at least three antiretrovirals, patients may also be taking drugs for opportunistic infections, concurrent diseases, symptomatic relief, and supportive care. Management of these complex regimens can be overwhelming for the clinician.